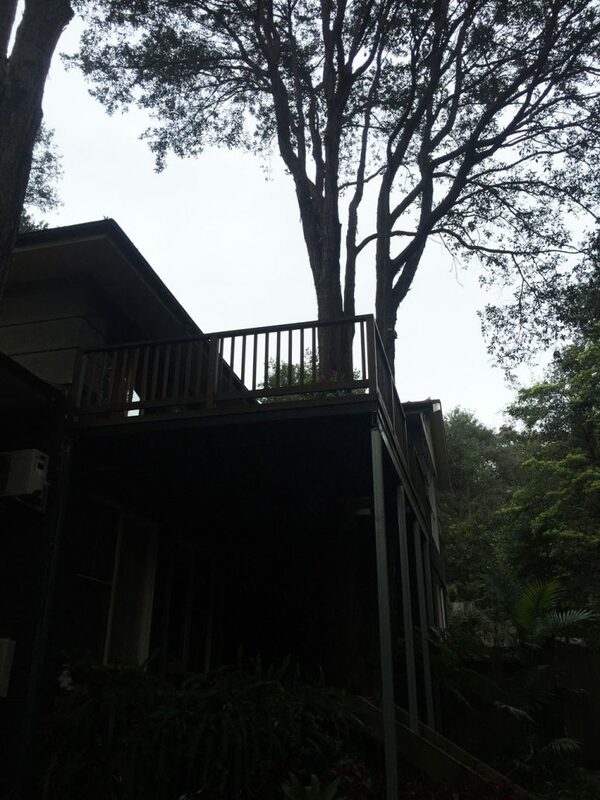 These two gum trees in Chatswood not only kept the property owner’s deck in shade and with a mess of leaves, but some branches also hung precariously over the home. 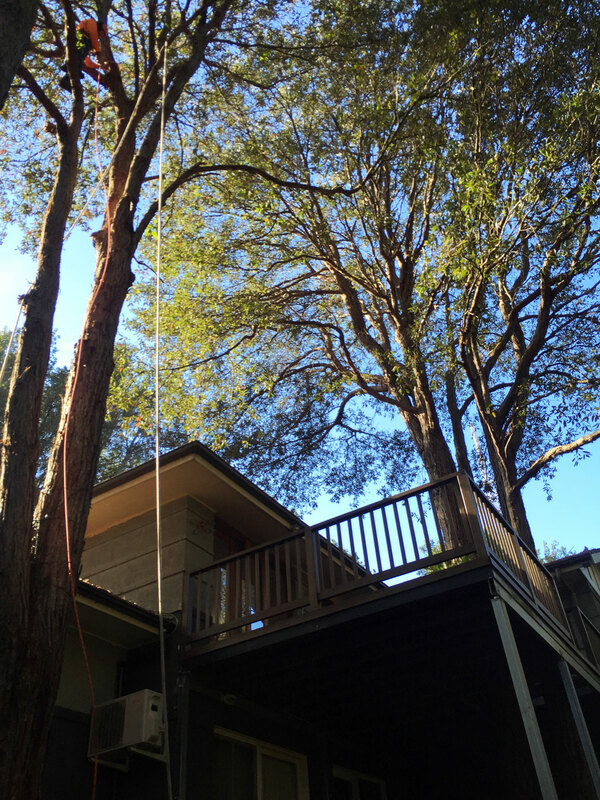 As experienced arborists we knew how to tackle the job for an outcome which would suit both property owner and the local council. Lower branches were pruned away, the canopy was thinned out a little and all offending branches were removed to clear the building. As you can easily see, the canopy has been lifted.